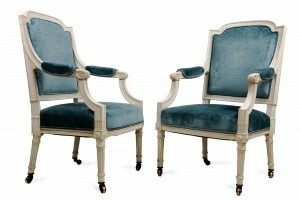 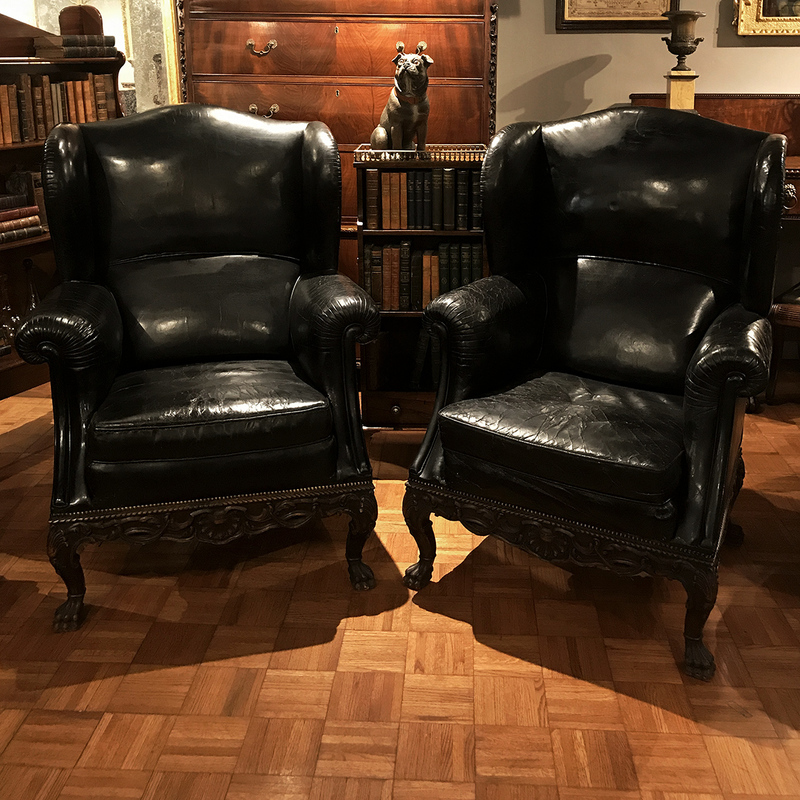 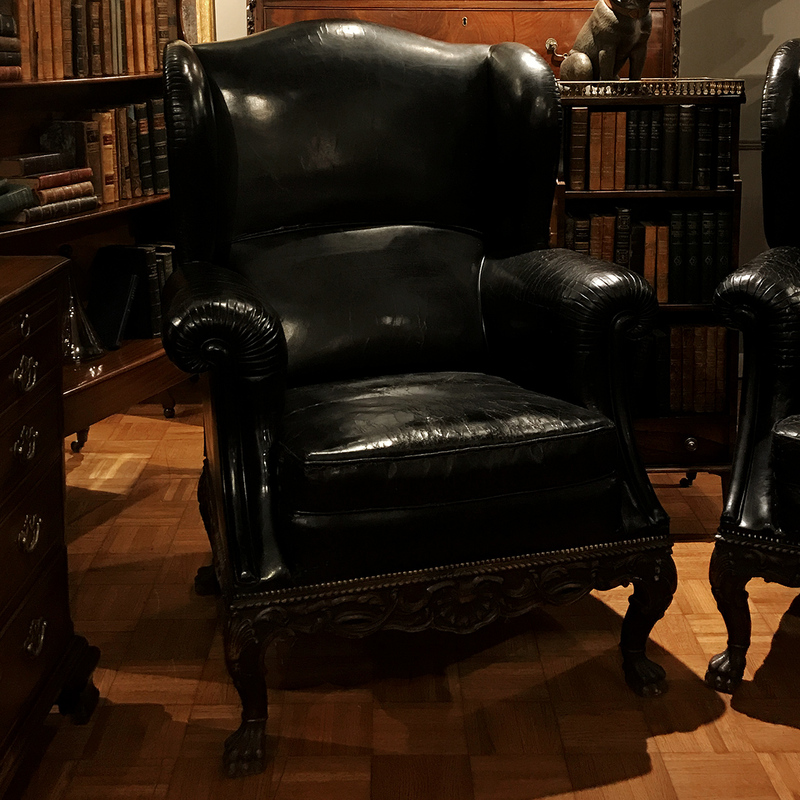 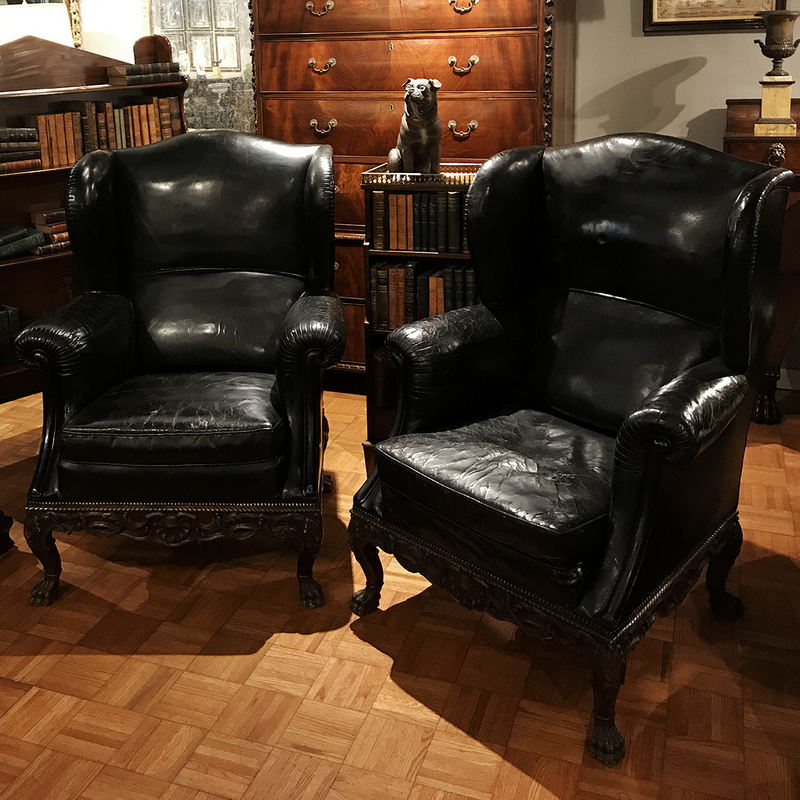 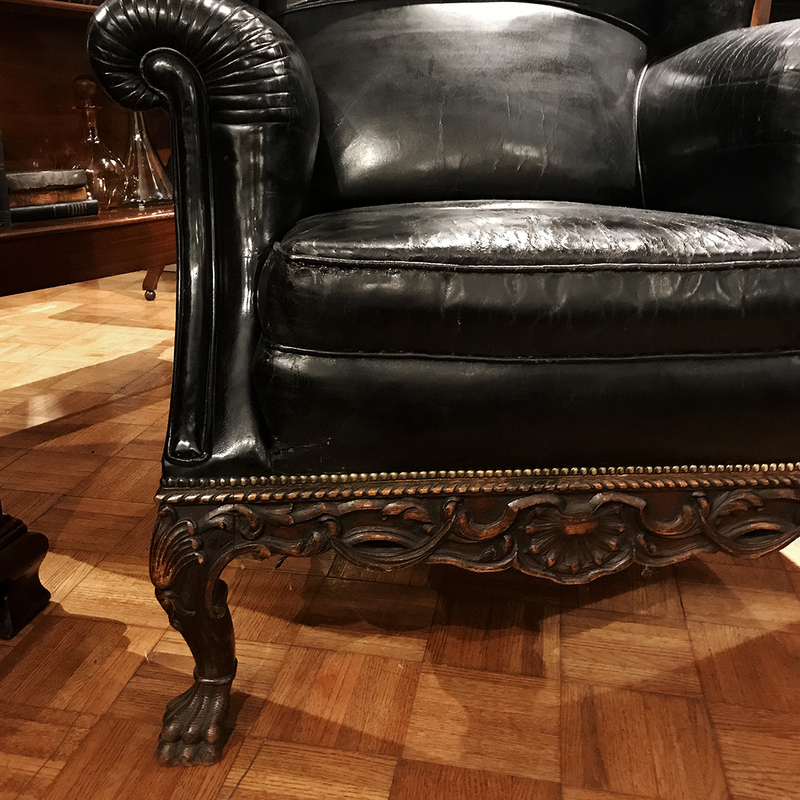 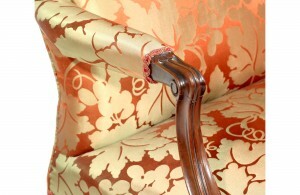 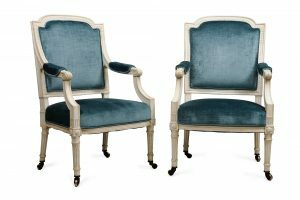 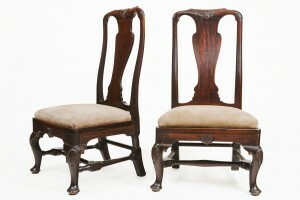 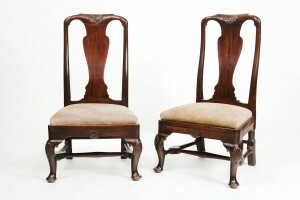 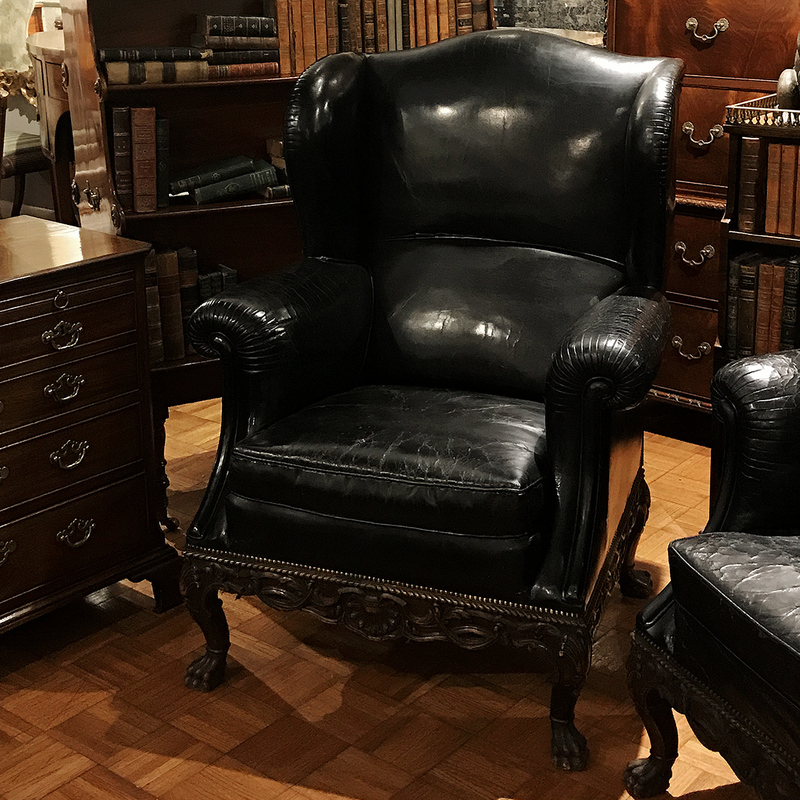 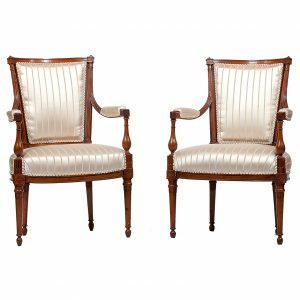 This pair of 19th-century black leather armchairs is distinguished by the Georgian-style shell and acanthus carving on the apron and cabriole legs of each chair, ending in stylized lion’s paw feet. 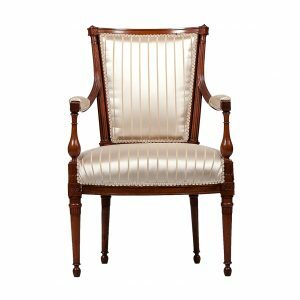 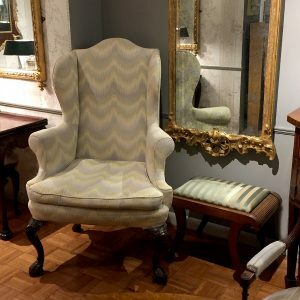 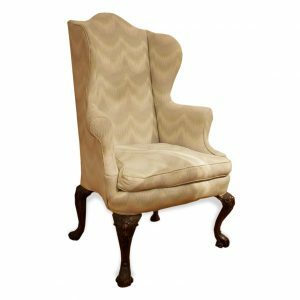 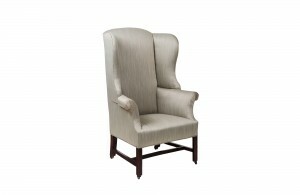 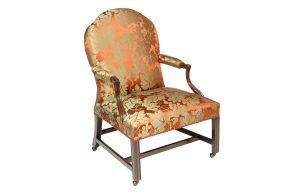 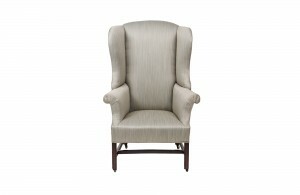 Each of these highly comfortable and generously padded chairs also features a rounded crest, shaped wings, and scrolled armrests. 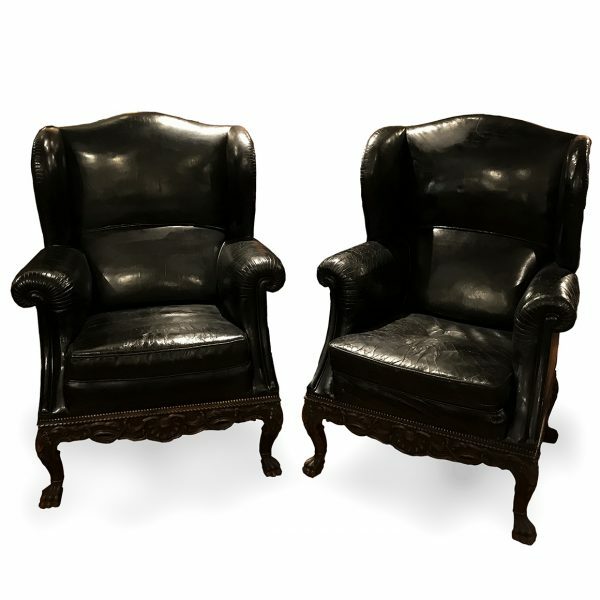 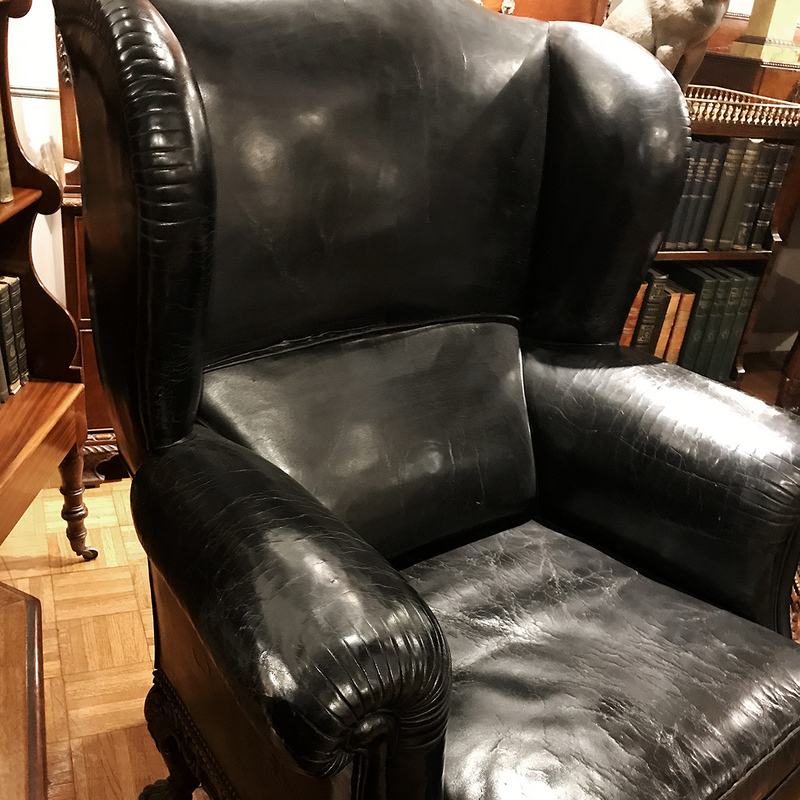 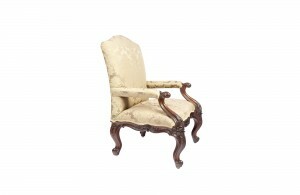 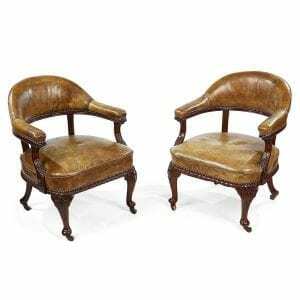 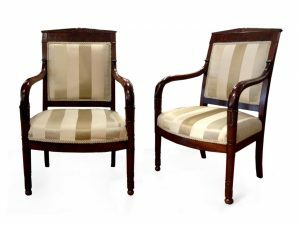 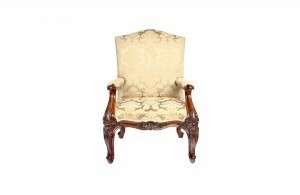 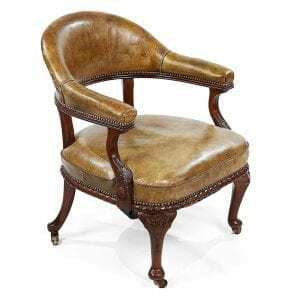 To enquiry about "3161 – Pair of 19th Century Black Leather Wing Back Armchairs", please complete the below form.